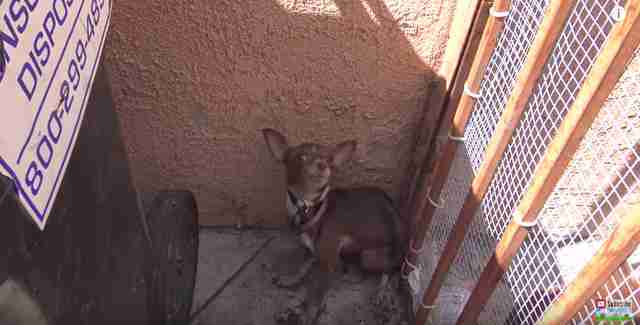 Blossom was abandoned on the streets of Los Angeles and spent weeks running around hiding in different backyards — just trying to get by. 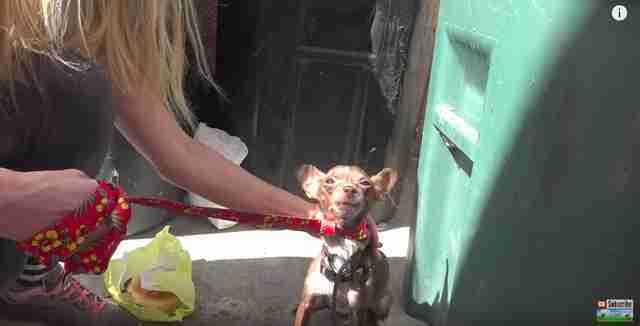 Eventually, people started to notice her running around, and decided to try and seek help for the tiny Chihuahua. Hope for Paws got the call about Blossom and immediately drove out to the neighborhood where she’d been seen to try and rescue her. 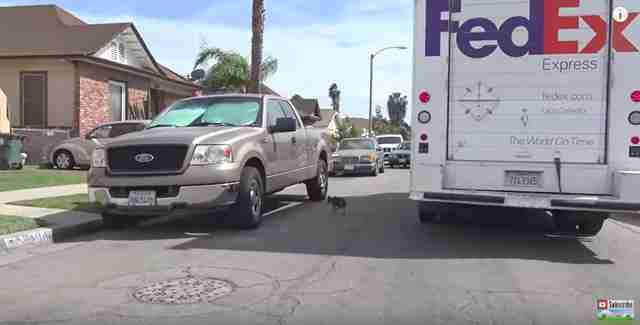 When rescuers arrived, the scared little dog was running through the streets, narrowly dodging passing cars and trucks. The people who had made the call told rescuers that she was the sweetest dog and just needed someone to help her. 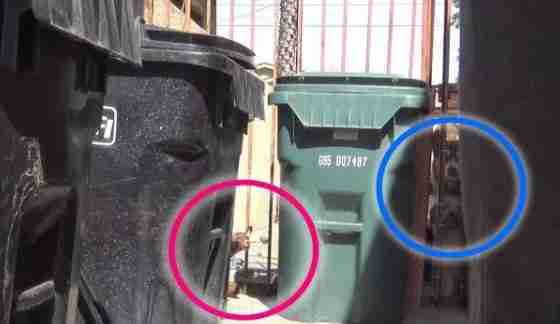 … and realized she had gone in to be with two of her dog friends, who clearly made her feel safe. 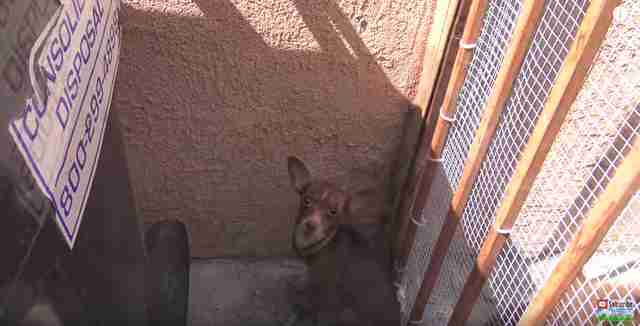 While little Blossom was still terrified, the other dogs were very calm, and seemed to know that the rescuers were there to help their friend. … and slowly slip a leash around her neck, ensuring that she was finally safe. … but eventually she calmed down a little bit, and her rescuers were able to scoop her up and take her safely over to their car, ready to drive her away from her life on the streets. 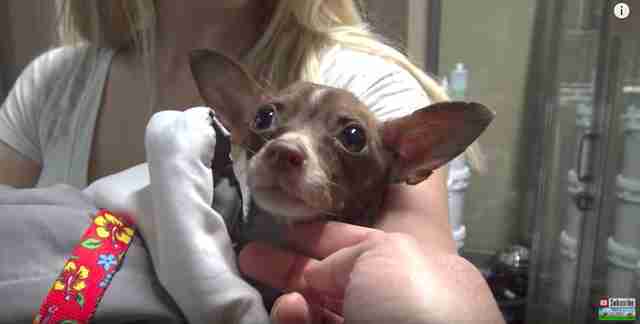 Blossom’s rescuers quickly drove her to the vet to get checked out and cleaned up. She was still a little unsure of all the new people handling her, but after getting a bath, a soft place to sleep and a nice meal, she seemed to realize that her life was changing for the better. Thanks to the dogs in the yard who helped calm Blossom down, she now has an incredible forever home. She has siblings to play with and plenty of space to run around, and will never have to go back to a life on the streets again.